Thank you Brooks Running for partnering on this post! Affiliate links are used throughout this blog, which means I might make a small commission if you click on a link. Thank you for supporting Story of My Dress! Items gifted are marked c/o. All thoughts, as always, are my own! 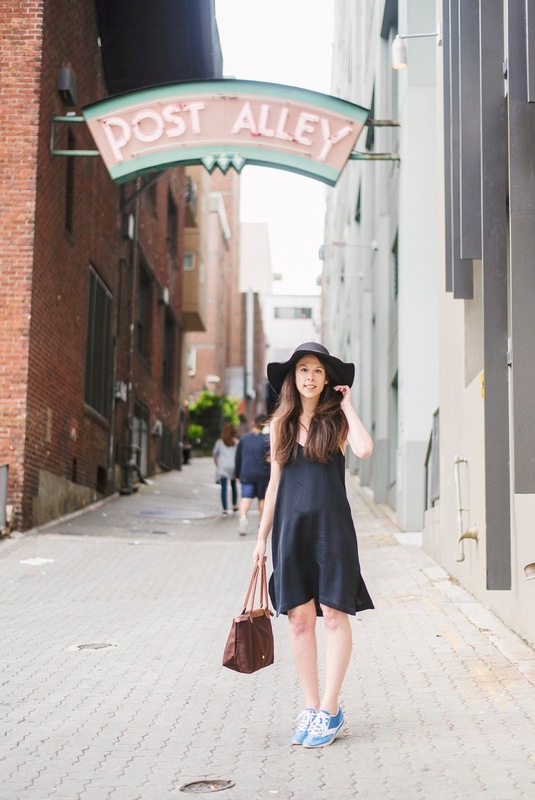 What better way to pay tribute to an iconic Pacific Northwest collection than a visit to the quintessential Seattle Pike Place Market. 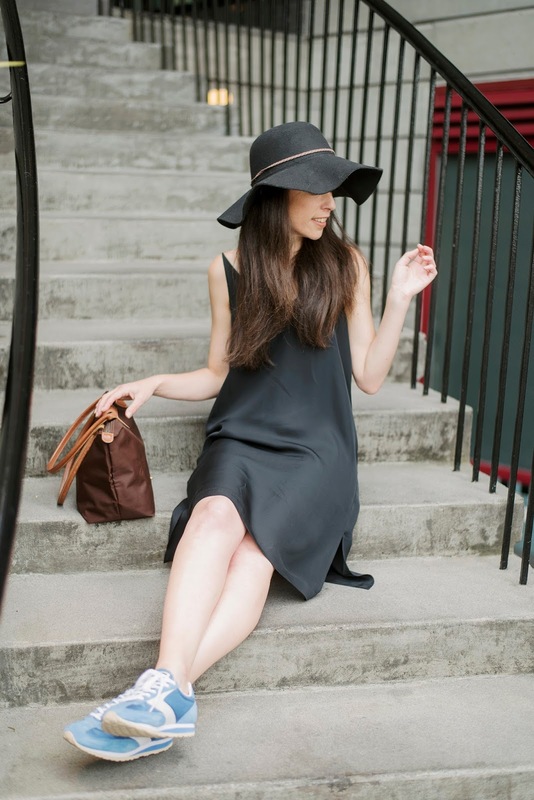 On a recent summer afternoon I headed to the market in search of fresh flowers, wearing a little black silk dress and retro Brooks Heritage kicks from Brooks Running. As a runner I have been running in Brooks Running shoes for years. I am a big fan of their running gear for both trail and road runs, which I find to keep me warm and dry on wet and stormy days and cool and protected on hot and sunny days. Seriously so good, one long sleeve shirt from Brooks I've had for over 10 years, has seen hundreds, if not thousands of miles and still looks brand new! 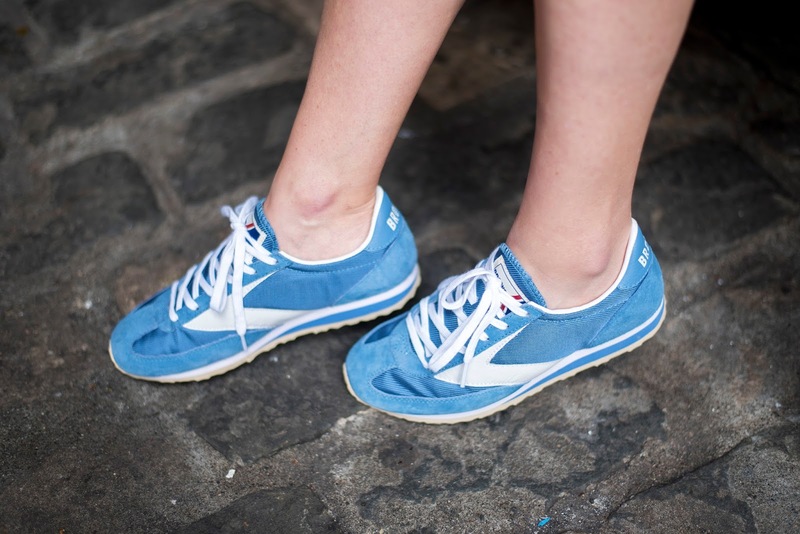 In 2014 Brooks Running launched the Brooks Heritage line to commemorate it's 100 years in business. 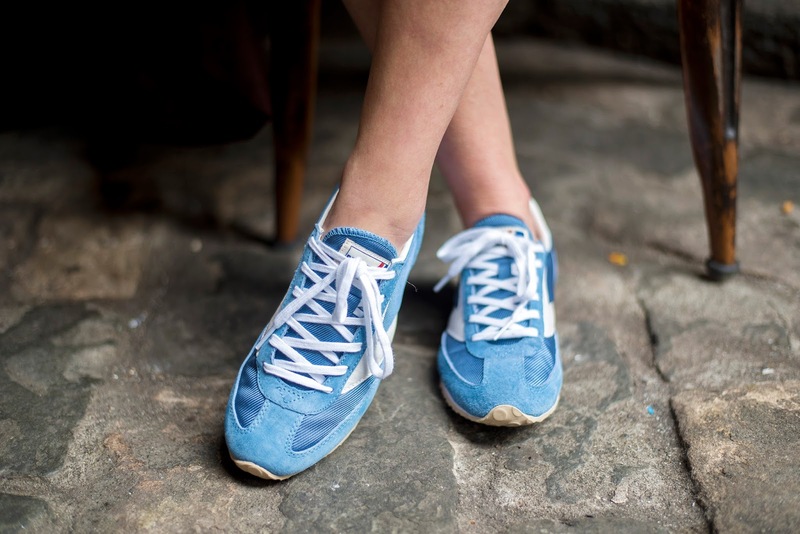 Brooks Heritage collection celebrated Brooks rich running history with an ode to the classic footwear and retro styles that catapulted us into the running boom of the 70s and beyond. Featuring luxurious materials and detailed craftsmanship, the nine models in three years delivered by Brooks featured remastered sneakers from the 1970's, 1980's and 1990's. As a runner and lover of all things retro (particularly the 70s), I (alongside other retro sneaker fanatics) was immediately in love with this line. 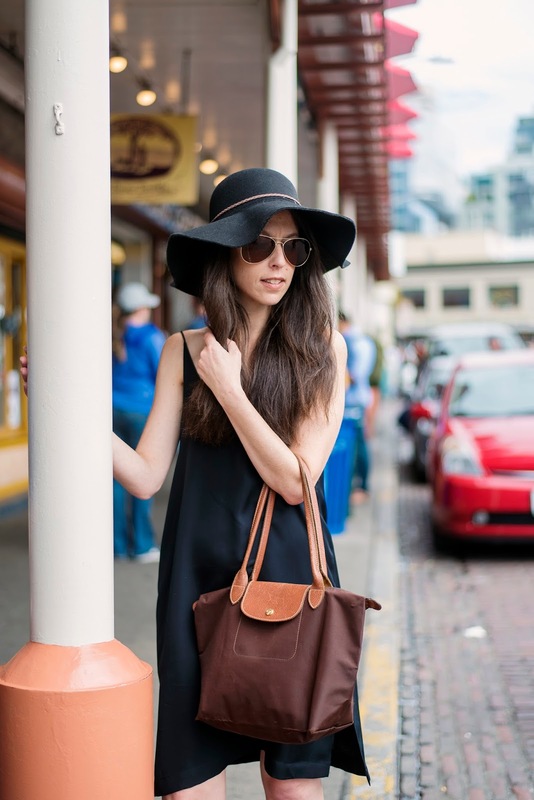 For my afternoon at Pike Place Market in search of flowers I chose the Brooks Heritage Vanguard Sneaker to pair with a little black silk dress, an oh-so-70s floppy hat and a Longchamp Le Pliage Tote I've had for over 10 years that I purchased at an Airport Duty Free when my bag broke mid-flight. 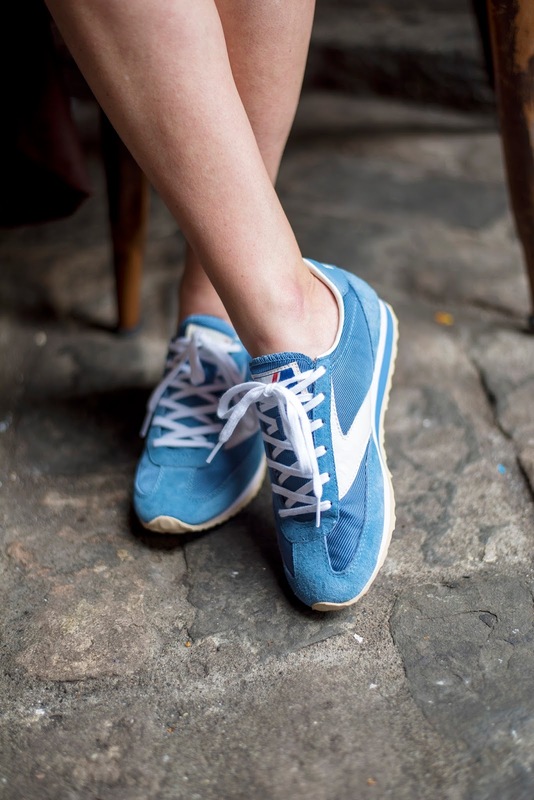 The Brooks Vanguard Heritage Sneaker was originally introduced in 1976 and captures the essence of of the 1970s running boom with clean design lines, classic styling and the iconic T-toe. The signature shoe of the 2014 Brooks Heritage launch, the addition of this shoe to my wardrobe made both myself and my closet happy. 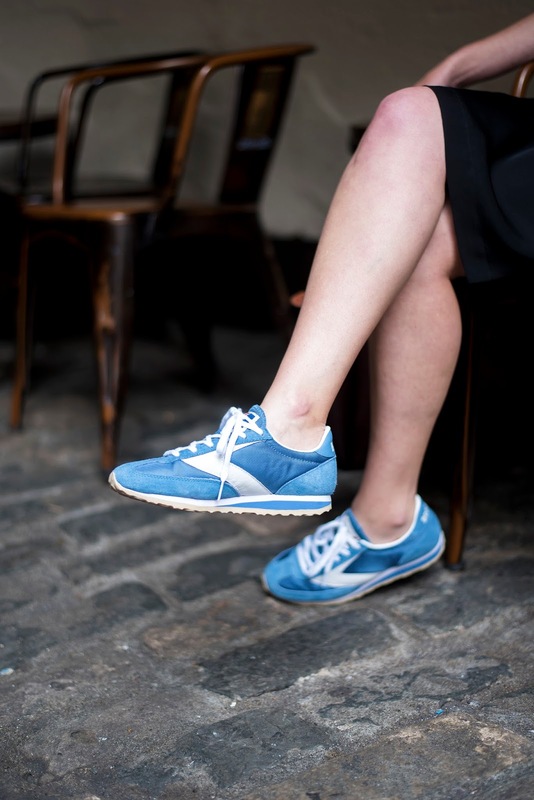 The Brooks Vanguard Heritage Sneaker was thus the perfect choice to pay tribute to Brooks Heritage because after a strong second run, Brooks Heritage styles have headed back into the vault. But don't worry, Brooks Running is still around delivering the best in running shoes and gear, they're just putting the Heritage line back in the vault! And remaining Brooks Heritage Collection stock is still available at exclusive retailers and at brooksheritagecollection.com. Grab it quick before it's gone!